Today’s Flash Back Friday takes us to episode #13, November 2009. 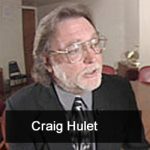 In this episode, Jason Hartman picks the brain of US Justice Department’s Bureau of Alcohol, Tobacco, Firearms & Explosives consultant Craig Hulet. The two talk about whether our freedoms are being attacked by corporate and government assailants, as well as whether American liberty can survive the onslaught.